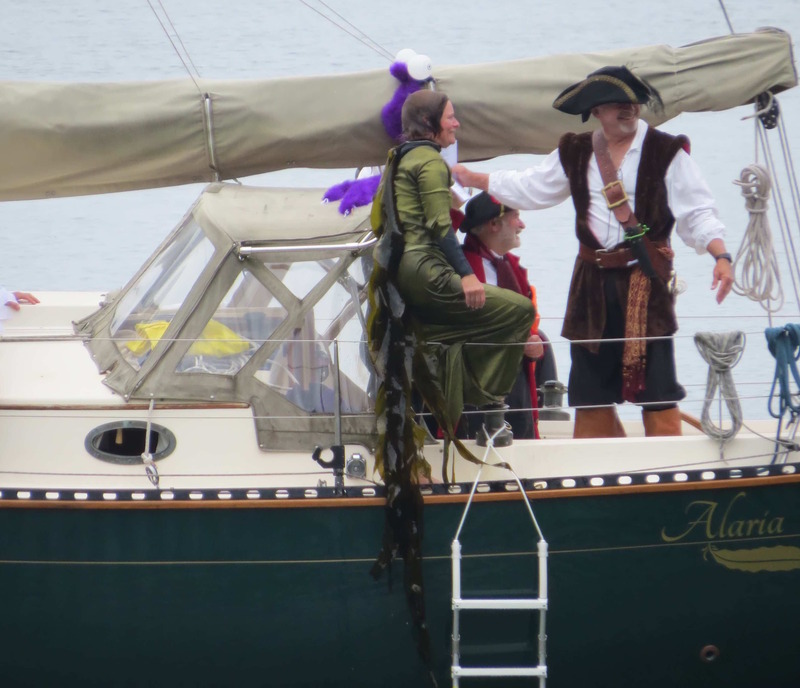 Once upon a time, in the heart of the Salish Sea, a pirate came upon a mermaid frolicking in the waves near the shore…. Okay I’ve already written this story out, and you can read the full fairytale HERE. Suffice it to say that our wedding was a bit of a spectacle. 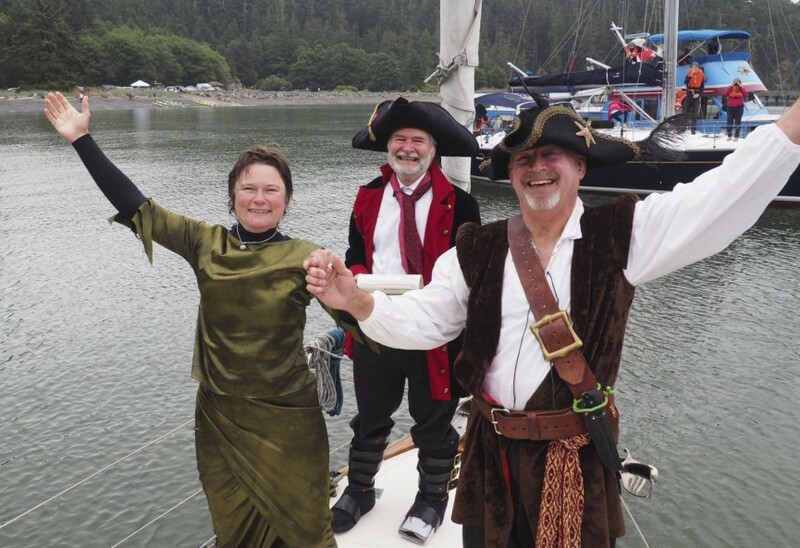 Pirates (in full regalia, on real pirate ships); mermaids (in kayaks, adorned in seaweed and starfish), and a full-“blown” Kraken, which had to be conquered before he could wed his beloved bride. Just a couple of important scenes did not get captured in the video. 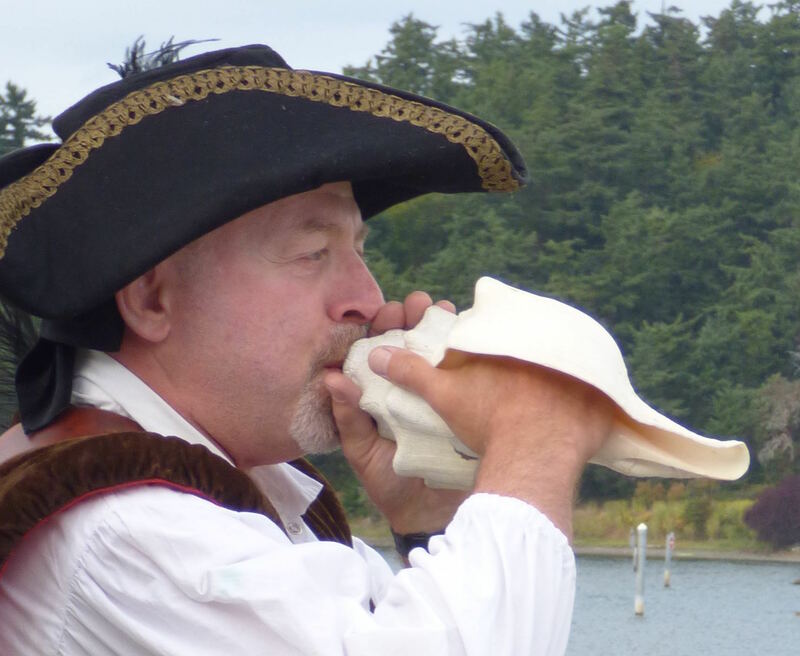 The first is when Mully blows his conch, summoning his mermaid bride out from hiding. The second is when Wooly swims out of her kayak and climbs aboard the pirate ship Alaria to be with him. Here are a few photos to flesh it out.